To replace the Parangimalai Jyothi theatre, which was once famous for screening, PVR grand Galada has now opened up in the locality. After almost 6 months now, the atmosphere here is finally alive with the food courts being taken up. Yes. I don't encourage eating from food courts that too in multiplexes usually but do try and test your guts with this one. 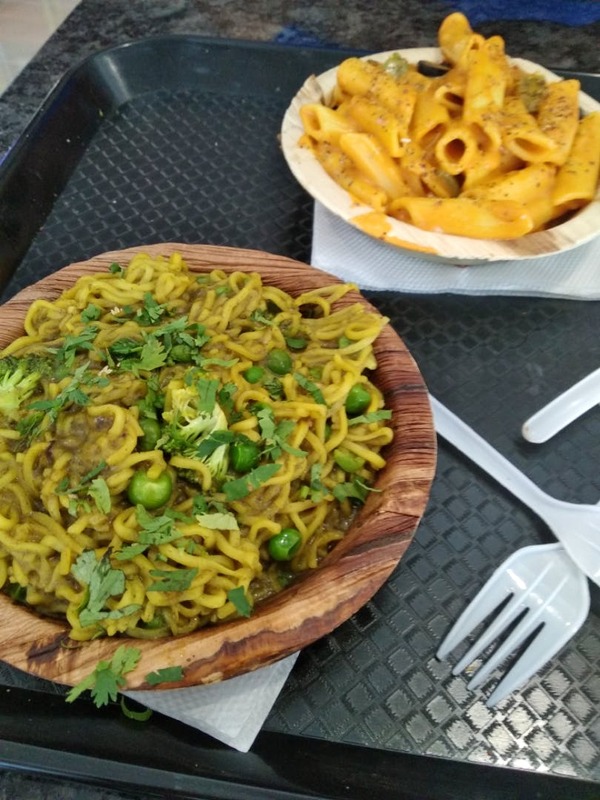 There's a variety to try from Maggevala, Jugo cafe, Pasta street and what not. These are way better choices compared to the McDonald's and Subways that has ruled the yesteryears of fast food. The food is served on a cheap plastic plate and the thrown away cutlery makes one feel a bit clumsy and the place messy.